"He calls himself 'The Snowman Killer'… he's completely insane." 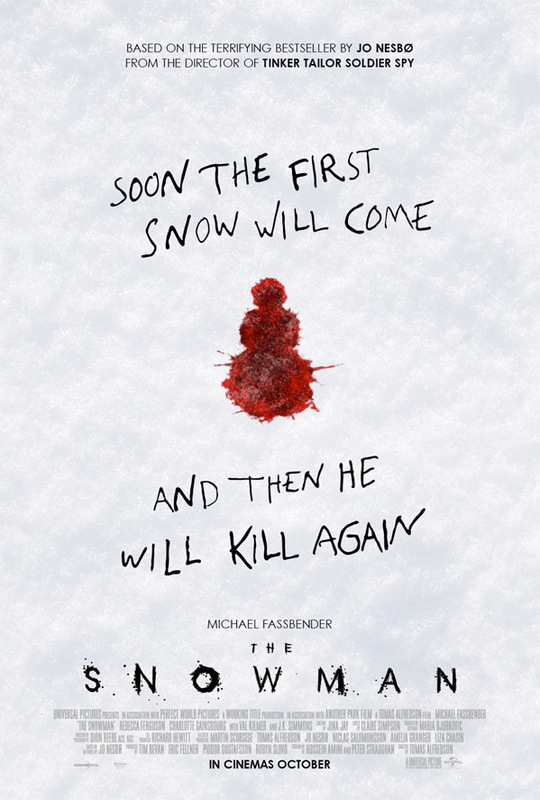 Universal has unveiled the first trailer for a new serial killer thriller titled The Snowman, adapted from Jo Nesbø's bestselling novel, from Swedish director Tomas Alfredson (Let the Right One In, Tinker Tailor Soldier Spy). Michael Fassbender stars as the lead detective who investigates the disappearance of a victim on the first snow of winter. He begins to believe there's a serial killer on the lose who may start killing again soon if he can't stop him first. The full cast includes Rebecca Ferguson, Charlotte Gainsbourg, Val Kilmer, and J.K. Simmons. This was filmed entirely on location in Norway in the cities of Oslo and Bergen and the area of Rjukan. Very intense trailer. This reminds me of both "Fargo" and The Girl with the Dragon Tattoo, with a dash of Zodiac thrown in. I'm definitely curious, seems like there could be some good twists and turns in this. So who is the killer? When an elite crime squad's lead detective (Fassbender) investigates the disappearance of a victim on the first snow of winter, he fears an elusive serial killer may be active again. With the help of a brilliant recruit (Ferguson), the cop must connect decades-old cold cases to the brutal new one if he hopes to outwit this unthinkable evil before the next snowfall. The Snowman is directed by acclaimed Swedish filmmaker Tomas Alfredson, of the films Bert: The Last Virgin, Office Hours, Four Shades of Brown, Let the Right One In, and Tinker Tailor Soldier Spy previously. The screenplay is written by Hossein Amini and Matthew Michael Carnahan and Peter Straughan; based on Jo Nesbø's novel of the same name. 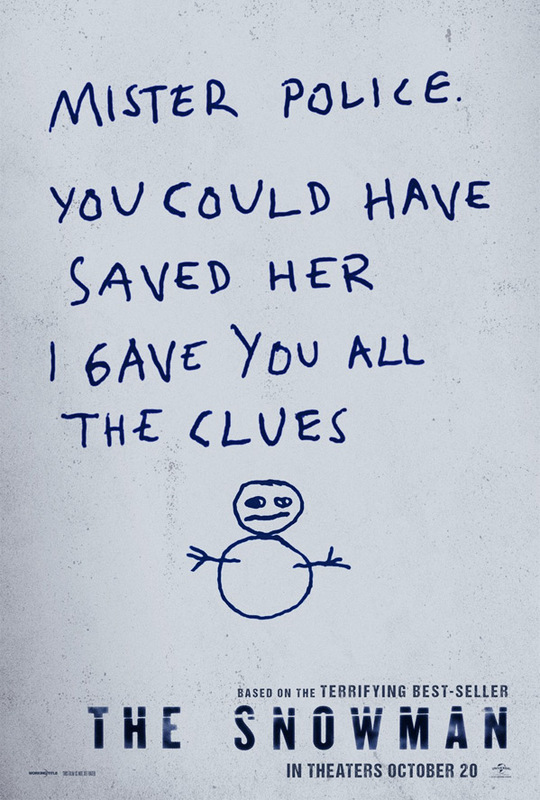 Universal will release Alfredson's The Snowman in select theaters starting on October 20th this fall. What do you think of this?